First time buyers, Foreclosures, New Construction, Relocation, full buyer and seller services. I am a lifelong Boulder County resident. Living in Boulder, Louisville, Lafayette and Longmont. 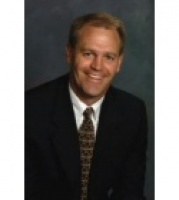 Attended Ricks College, BYU and am a Graduate of the University of Colorado Business School and have been serving the Real Estate needs of Northern Colorado for over 20 years. 95% of my business is from the thoughtful referrals of satisfied clients and customers. Contact me and find out that customer service is not a thing of the past. Hi Craig, I just came across your profile on memberagents.com. I'm interested in purchasing a home in your area and would like to talk to you about possibly helping me find a nice home to purchase. Please let me know if you're available to help out. Thanks!